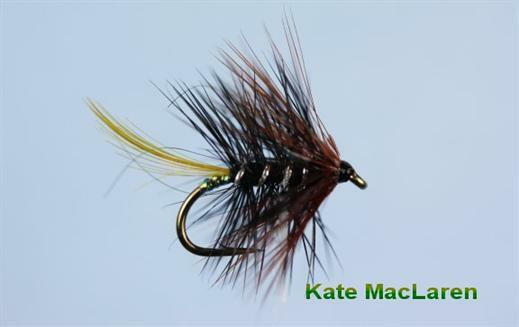 The Kate McLaren is a legendary top dropper fly and a superb attractor. It is probably the most popular of all the wet hackled flies and is especially successful when pulled through the waves on a windy day or on calmer times in a gentle figure of eight. It is usually fished with a Floating Line.